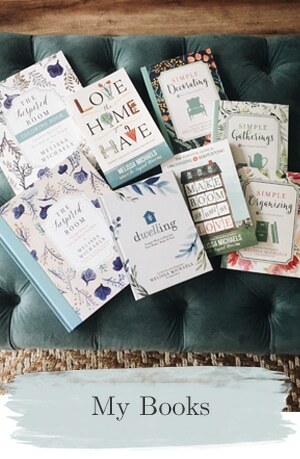 The Inspired Room is what is known as a “home blog,” which means I have the awesome privilege of sharing my own thoughts and ideas for creating a home with my readers! I’m a “home blogger” and I love what I do! I’ve been a home blogger since 2007 and it has been an amazing journey. Blogging has taken me from what started out as a part of my real decorating business to a now full time business as a blogger and publisher of decorating inspiration. I’m honored that The Inspired Room was voted as one of the top 12 home blogs on the web for the past two years at Apartment Therapy! 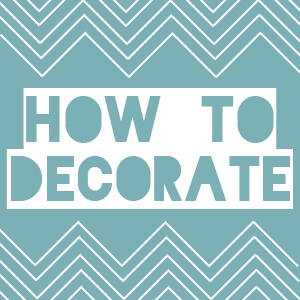 If you are looking for simple, affordable and inspiring ideas for decorating your home, I put together a list and inspiration gallery of many of my favorite How to Decorate posts. You can find many of my ideas by clicking the banner below. One of my favorite things about blogging though isn’t just getting to share my ideas, it is the community of like minded bloggers, all sharing their own homes, ideas, journeys and passion for life. 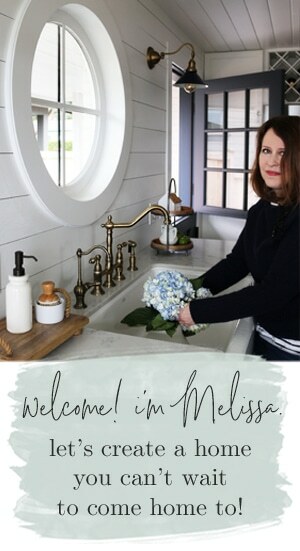 I love to feature other bloggers and introduce you to their blogs, their room makeovers and awesome DIY projects. You can find lots of features of bloggers’ projects in my Room Tours and DIY section! You can click on the banners below to check them out! Enjoy! Enjoy every moment . . . especially getting to lead the home bloggers group. Have a great time! Sounds like a wonderful conference. have fun!! i’ll be home having a pity party for myself. I’ll be looking forward to the photos and stories you’ll have to share. It’s always a treat coming to your blog! Have a wonderful day! Love your blog– have a great time at Blissdom and come back recharged with more great ideas! Have a great time, and I wish I could be there! Would love to be entered. Thanks for the link…lotta great blogs! I ‘ve never heard of blissdom before, I will definitely check it out! Have fun! Safe travels and I’ll look forward to some new “inspiring” ideas from your time at Blissdom. Have fun at Blissdom! Can’t wait to read all about it. I adore the stripes they painted in the picture. In my bathroom I did 12×12 squares of the same color but one was high gloss and one was matte, turned out fantastic! Have a wonderful time. I am looking forward to hearing all about it! Have a great time! I am so looking forward to hearing all about your trip when you rrturn! Just found your blog….and I’m in love with it! I HEART home bloggers. What an incredible world of inspiration we have at our fingertips! Have a splendid time at Blissdom! Oh! I could do wonders with a $100 Home Depot card! Hope you have a wonderful time at Blissdom and I can’t wait to see more of your renovations! Cute Stripes! Have a great time on your trip! Cute Stripes! I love stripe anything. Have a great time on your trip. Hope you have a great time at Blissdom! Have a joy filled time at Blissdom! 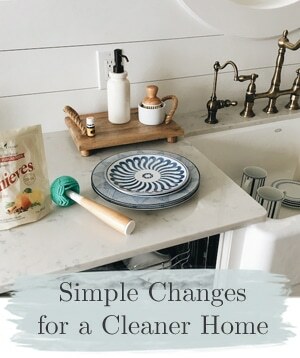 LOVE the stripes on the wall in this photo… it gives me some much needed inspiration for my bathroom makeover. Love this arrangement of plates around the mirror! And the striped wall is cool! I too am amazed at all the great ideas from Home bloggers. Have a wonderful time at Blissdom. Looking forward to a report from the front! I want it! I want it! (envision my hand eagerly raised up saying pick me! pick me!) I have some furniture painting I’d like to do and could use this to purchase my supplies. Have fun at Blissdom. All that creativity in one place. Sounds exciting. Be safe! I love reading your blog! Can’t wait to see pics from Blissdom. Have a fabulous time!!! Love your inspiring blog!!! Have a great Blissdom! Sure could use $100 …I am feeling inspired! I won’t be attending this year, but God willing, hope to meet up with you next time. I could use some bliss. Enjoy! I have Blissdom envy. Have fun! Love your blog. Have a great time, filled with learning, relaxing, fun, oh and chocolate and lots of girl time. My son’s built-ins that I built with my own little hands! 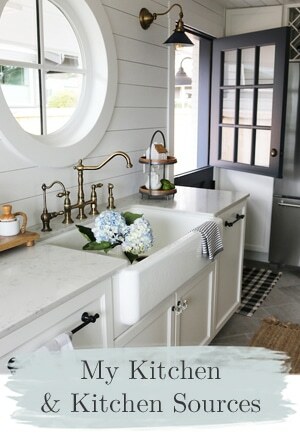 Cozy Cottage Kitchen makeover. :) (you have GOT to go look at the before of our kitchen) Yikes! Have a great time at Blissdom…never heard of it but sounds fun. I love your great ideas! Thanks for the helpful inspiration and advice… 1860’s farmhouse renovation in progress and needing all the help I can get! I started blogging in September and have gotten hooked. There are so many talented people and beautiful images – it is truly unbelievable. I think I am going to spend a few minutes on blogging, and hours can pass by as I look at so many beautiful rooms, flowers, and creative ideas. Yay Home Bloggers! My flight leaves in the am! Can’t wait to meet you in person! We’ll all have a fabulous time! Great Tumbler pics too! I was in Home Depot 2ce this weekend! I love your ideas and the other websites that you share! Enjoy Blissdom! Enjoy your trip! I really enjoy the inspiration from your blog and hope to win the gift card. Just spent a couple of hours there this weekend. Trying to get up the courage to paint my oak kitchen cabinets. Melissa! How I wish I was going to Blissdom. I am still hoping to make it back to Relevant! Off to check out your tumbler list! Have a great time this week/weekend! I hope to meet you IRL at Blissdom! I just _hate_ that I live here in Nashville and can’t attend Blissdom! Can’t wait to hear all about it! The boys bathroom at our home needs a revival from 1980’s oak. We would love to replace a vanity and the lighting! Enjoying your blog as always! I just started reading blogs. Thanks for being one that I look forward to seeing show up in my igoogle reader! I haven’t figured out how blogs such as yours have things to win, but that’s cool! I enjoy learning about blogs, and hope to one day get the one I’ve had friends requesting that i offer the world…using design to help people design their life (internally as that I’m a counselor and support people living their most beautiful lives). The counseling part is easy, figuring out the logistics of blogging is the adventure. Anyhow, thanks for the inspiration to blog! Pushing for the win! I would love a HD card. Have fun at Blissdom! Your blog is truly an inspiration! I’ve been looking for ideas on how to make my apartment more of a home and I really enjoy the great things you have to share. Thanks! Have fun at Blissdom! If I win the HD card I promise to put it to good use!!! Thanks for sharing, sharing and sharing. Love your give away.. HD he someone comes.. Hope it is me. I would love to win so we can start our kitchen reno. Love your blog. Great post! I get so inspired looking at other people’s projects that are posted on their blogs. I’m ready to make over several areas of my home and an HD card would be awesome! enjoy checking you blog – very inspiring! Have fun at Blissdom! Can’t wait to hear all about your adventures! I love your blog. I simply adore the design and I really like to get inspired by all the lovely things you post. Have a great time at Blissdom! Looking forward to seeing your results! Would be fun to join you if I win. 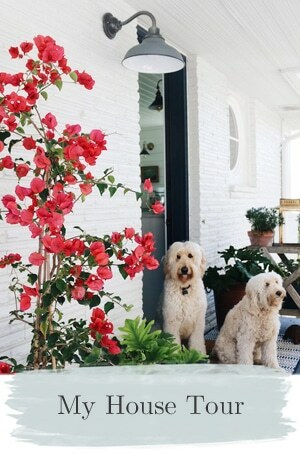 Wow – love the plates on the wall in your picture from Two Story Cottage. Love your site!! Can’t wait to see what you do with your bathroom makeover!! My bathroom is antique white. I would love to paint it a pretty color. That just might spark some creativity in there! Enjoy Blissdom, I’m sure you will have a blast with all those fabulous ladies ! Hope you have a great time. I would love the card to finish up my “NEW” front door fund. love the ideas!Love your blog, I get great ideas and admire your talent! I so wish I was at Blissdom so I could meet you! I have been a semi-blogger for about 2 years but an “active” on for a few months now and your blog was one of the first ones I came across and fell in love with! Thank you so much for the awesome ideas and laughter! We know you will come back recharged from Blissdom. 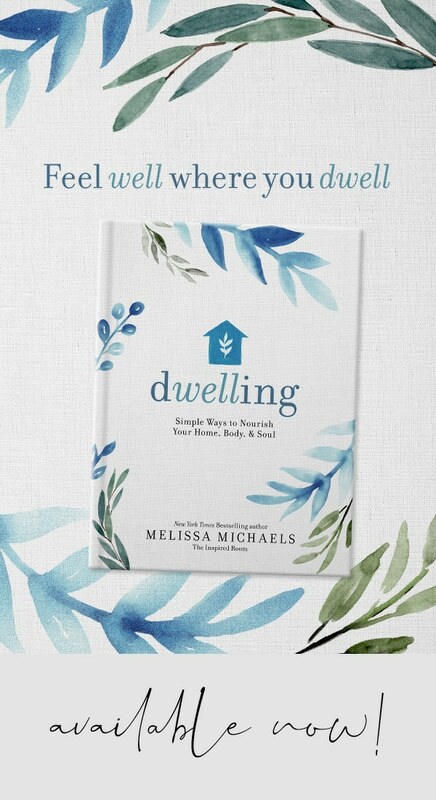 Have a fun and encouraging time Melissa! Love your site–beautiful and practical. Thanks for all the encouragement! Fun. Thanks for sharing the Yellow Cape Cod — I liked visiting there too. So inspiring! Tackling the dining room this week!